The Premium Microfiber Towels are made of industry-standard cloth, a mix selection of microfiber for touching and wiping cars because it is super-soft, super-absorbent. Will not scratch paint when used properly. 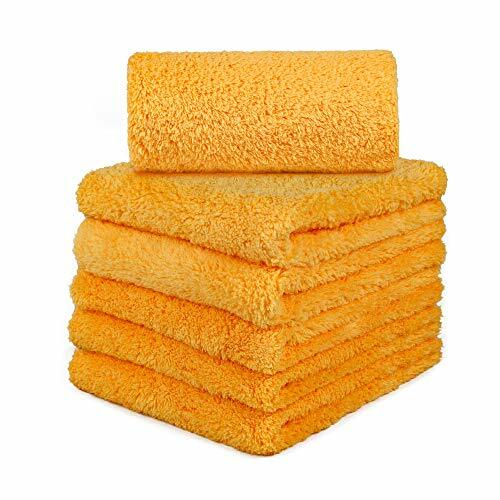 Ultra Soft, Plush-Long Pile Non-Abrasive Microfiber Cloths will not scratch paints, coats or other surfaces, can be used for crystal, mirrors, tiles, windows, cars, hands, dishes etc. How to keep the towel clean as new after use? 1. You can wash and dry your microfiber products in your household washer and dryer, with warm water and low heat. Air dry is ok.
2. Use microfiber detergent or any Free/Clear type with no dyes or perfume formula and your towels would come out clean and soft. If you have any questions about this product by CARCAREZ, contact us by completing and submitting the form below. If you are looking for a specif part number, please include it with your message.